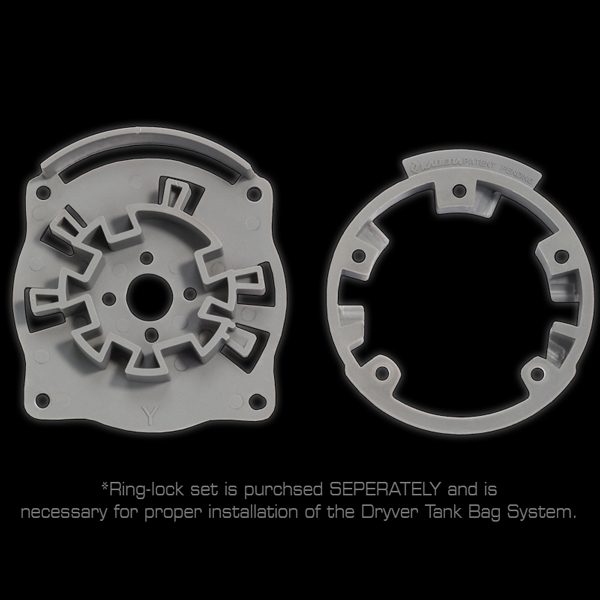 This Locking-ring mechanism was developed exclusively for the Cortech Dryver Tank Bag System. It enables the rider to effortlessly mount the tank bag to the gas tank cap mounted system. • Unique, gas cap mounted ring-lock allows easy attachment and removal of the tank bag. • All necessary mounting hardware is included. • CLICK HERE for fitment guide.